The volume of olive oil consumed by China has increased by 195 percent to 43,400 tons last year from 14,700 tons in 2009 according to CHINA DAILY. Zhang Min would be very happy to be able to buy a 250-milliliter bottle of Spanish olive oil for what he pays for a 2,500-milliliter bottle of peanut oil. For the 34-year-old human resources specialist at a multinational company in Beijing, that would be a good deal. Zhang thinks of olive oil as “liquid gold” that has many more health benefits than traditional Chinese cooking oils such as soybean, peanut and palm oils. “Despite the high olive oil price, I still would like my family to have it for health reasons,” Zhang says. 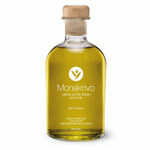 Vegetable oils are widely used in Chinese recipes, but olive oil is not used in traditional Chinese cooking. It has caught on only over the past few years. 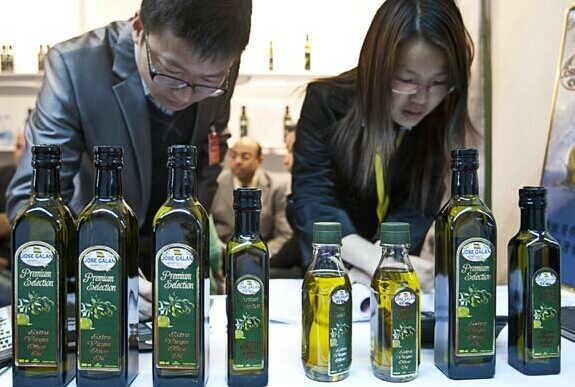 Like Zhang, a growing number of Chinese with rising incomes are acquiring a taste for olive oil, fueling spending on imports and spurring overseas companies to bet big on the promising market. Since China’s geography is unsuitable for the mass production of olives, almost all of the olive oil sold in the country is imported. Major exporters to China are Mediterranean countries, including Greece, Spain, Italy and Turkey. According to statistics from the Madrid-based International Olive Council, the volume of olive oil consumed by China has grown rapidly, from 14,700 tons in 2009 to 43,400 tons in 2013, an increase of 195 percent.